Thanks to the relentless work of dataminer X-Kira, we have a pretty good idea of what Capcom "cosplay" costumes will be obtainable in Street Fighter V: Arcade Edition's Extra Battle mode. 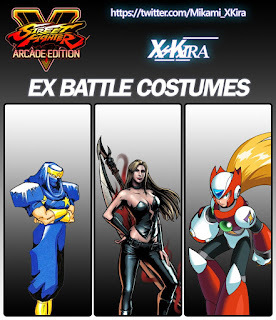 Chief among them are EIGHT Mega Man character costumes: classic Mega Man, Proto Man, Roll, Bass, Mega Man X, Zero, Axl and Tron Bonne. 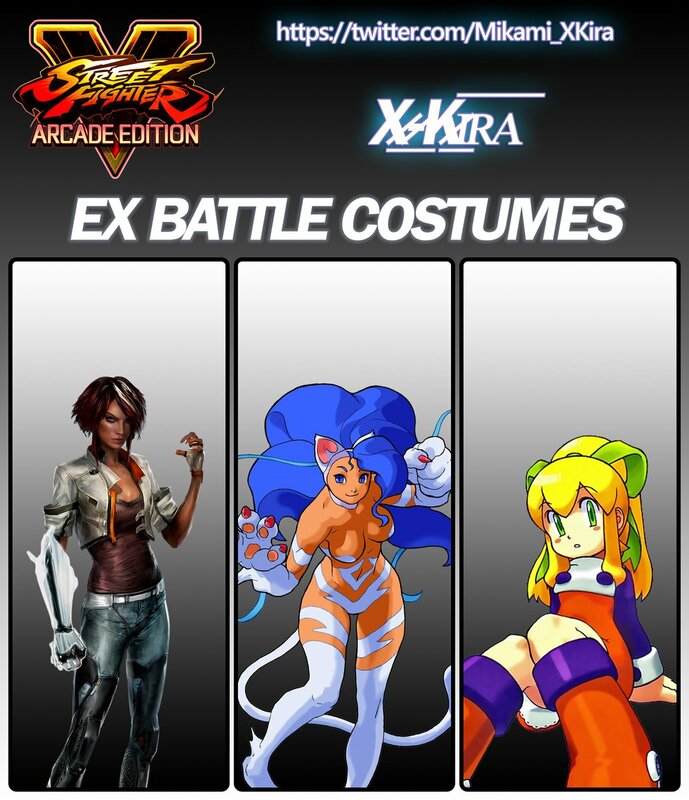 According to X-Kira (by way of Shoryuken), there's a bit more to these costumes than meets the eye: "These will not just be simple 'cosplay' Costumes for the SFV:AE cast, but that they will actually have unique frame data and movesets, essentially letting you play as these characters, with additional moves only usable within the confines of the Extra Battle." 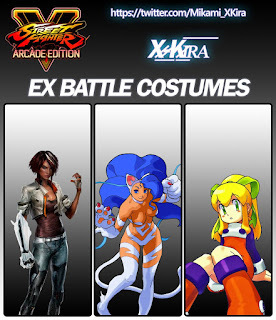 It's worth mentioning these costumes cannot be used outside of Extra Battle nor can they be worn by every SFV cast member. For example, EventHubs member Flowtron – who accurately leaked Street Fighter V's season 2 roster – says classic Mega Man and X can only be worn by Ryu. No word on who will done Proto Man, Roll, Bass or Zero's duds just yet. Any guesses? And I hope Ryu uses X, since X did get a Hadouken and got Shoryuken twice, one like Ken's with fire in X2, one without in X8. I saw one of these the other day that had Axl on it. FYI Axl was also listed there. Karen has to be Tron Bonne! They both got the "Oh ho ho" taught laugh down pat! I guess Dan or Zangief as Roll. Mega Man doesn't sell well in this day and age, so this is the price it pays for not getting with the times. Mega Man needs the opportunity to sell at all in this day and age before you can claim it doesn't sell well. The reason why it did'nt have said oportunity it because the sales where going down when it did years ago. so while "this day and age" might not be the formulation, you get what anon1 meant. hard to admit for us Mega Man fan, but from a buisness standpoint, number come first. Anyway, this is'nt the point here. 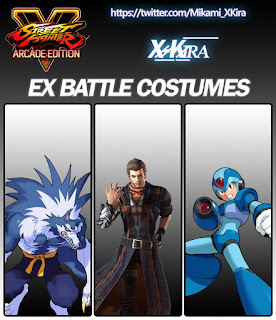 putting megaman costume in a Street Fighter game is just a bonus thing to this street fighter game, regardless of whether or not Mega Man can get is own game. Street Fighter was in the same boat of its sales going down lower and lower to the point where it wasn't profitable. Though Ono had to fight tooth and nail for it, Street Fighter 4 still got made with a way bigger budget than Mega Man 9, which for the record sold above Capcom's expectations in this day and age. Well, I say that, but it's been almost a decade since Mega Man 9 has come out. Mega Man 9 was a nice surprise for the time, I'm pretty sure MM10 did worst, and it would have just kept declining from there. Capcom cut their loses, and are likely waiting for another point where a surprise Mega Man game can hit gold again like MM9 did. It's also easier to do for a fighting game. This is a genre that can easely work on current mainstreams consoles. Side-scrolling platformer is'nt the rage as it used to be (or should i say, buisnesses think that it is'nt), except if you're called super mario bross. Look at castlevania, for exemple. Portrait of Ruin on DS in 2008, and since then only a two or three games on virtuals console (which where crossover games featuring the different protagonist of the serie). then they rebooted it into a different type with the lord of shadow serie. going 3d would not work too well for the Classic timeline megaman (classic, X, Zero, ZX) since the side scrolling platform is too much of a part of the games identity. maybe they could have a chance on a nintendo console. That's probably also why they did Maverick hunter X on the psp. Ps3 main audience was'nt really into this type of game. (though choosing the psp was still not a very good choice because... it was the PSP.). They claimed to be happy with 10, though you're right in that they were more modest with their excitement towards its sales compared to 9. But that's why they should have done something more significant. 9 shows there's an audience, but they can't just keep pumping out cheap little 10$ games and expect significant growth for the series. Street Fighter 4 got a big budget despite not even having a "test" like Mega Man 9. Also I don't see how a fighting game is any "easier." Mega Man 9 and 10 were sold for so cheaply because they were so inexpensive to make. Street Fighter 4 was considered a pretty big gamble at the time and even now is considered niche. Meanwhile there are plenty of platformers coming out that are both 2d and 3d, including Mega Man like games, and plenty of them do just fine. I do agree that Mega Man's biggest audience is probably on Nintendo consoles though, and seeing how Capcom doesn't seem too interested in giving the Switch any meaningful support, that probably doesn't bode as well for Mega Man's chances. They should have had SOMETHING prepared by now to try and capitalize on all the hype Smash 4 got the series, but they squandered that almost completely. Biggest wasted opportunity the series has maybe ever had. "Street Fighter 4 got a big budget despite not even having a "test" like Mega Man 9." Actually it did, Onimusha 4's Street Fighter costumes and Hyper Fighting's reception and sales were specifically noted by Ono as key instances to make a case for another Street Fighter entry. 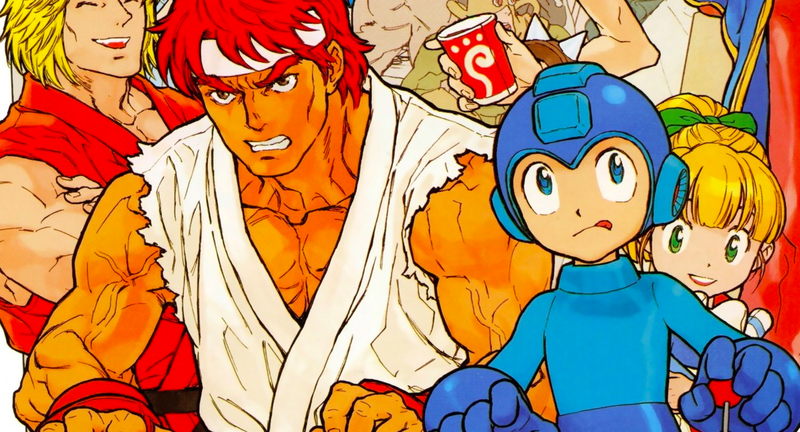 Also there is that fact that unequivocally Street Fighter is a bigger brand and seller than Mega Man on average at any point in time even at times of decline. Street Fighter also has the ability to platform their games and make bank off of incremental updates that have large term effects due to how fighting games work and how the player base for fighting games function. With Mega Man that would seem more like beating a dead horse to the general audience, unless you really build the game engine in a way to accommodate that. Also just saying, Mega Man 9 itself was the product of tested waters in the from of the well received 8-bit MMZXA mini game/mode. Also my two sense I don't think there was anything to capitalize off of from Smash, Mega Man is kinda just drowned out by other popular IPs and characters in Smash after a short time, well at least it seems that way even among the Smash community. There's also the idea that just because something is known doesn't mean it will be supported, for example everyone and their dog knows Metroid and Samus, yet those games have to work so hard to get even a fraction of the success of other Nintendo giants seen in Smash games. 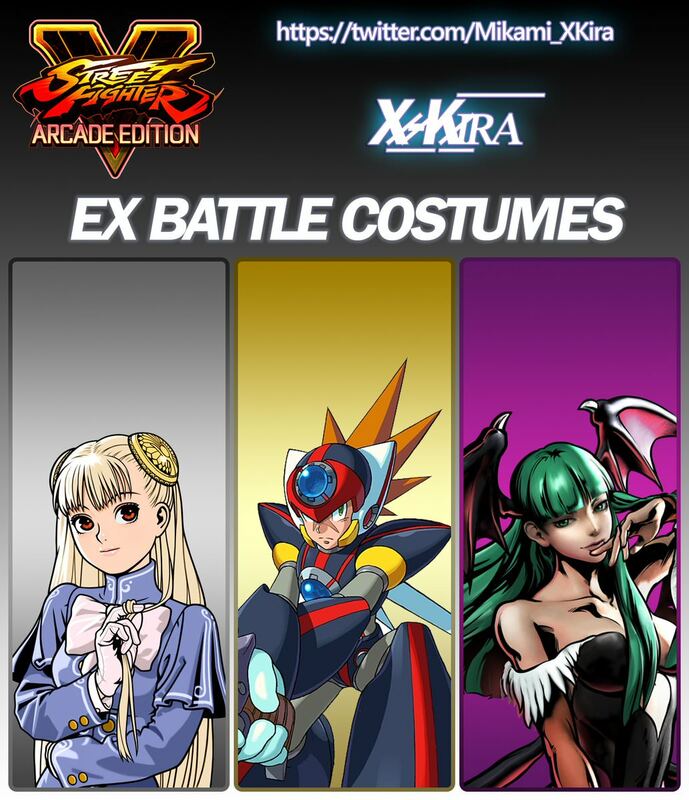 If that's not a good example try DarkStalkers/Vampire a game series more well known through crossovers than its own material, I'm sure there are a million other examples. I'd like to point out that the last several games before Mega Man went forgotten included Battle Network 1.25, Zero Collection, Star Force 3, ZX Advent, and MM10. Not exactly a stellar lineup to try to point to when saying that Mega Man hasn't been selling well. As good a line up as any. would have been then same with any others games. it's the franchise in general. Else we'd get no ZX3, but a X9. (Legend 3 could work with good advertisement, but they don't do good advertisement for MM, and the fact that not everyone have played the 2 previous games might dissuade thoses who are not in the fandom). @AnonymousOctober 27, 2017 at 3:47 PM : fighting games are easiers. like the anon after you pointed out, SF is a bigger brand than Megaman. But if you're looking for a mainstream game, aside from some big nintendo IP, you don't have mainstream platform franchise. Ask any gamer what Street Figther or Mortal Kombat is, they know even if they haven't played it. Ask mega man, and except if you come across a fan of the serie or someone who know their topic about video game characters, they would just be able to say "it's a game". Yes Street Fighter IV was more costly, but they where less succeptible of seing it fail. There are platform who "do well", because they're not expecting something particularly big to begin with. And the same go for Megaman, execpectations where good enough to justify the not too costly retreaux 9 and 10, but not to go for a full polished game. 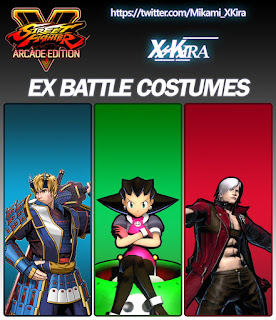 I'll laugh if the Roll costume is for Karin, considering her Story Mode outfit (a simple dress and long hair ribbon) has a color scheme which matches Roll's classic outfit, already. After only getting to have something worth mentioning for the 25th anniversary by sharing it with Street Fighter, I always kind of hoped to see the Classic Mega Man appear in Street Fighter proper. Guess this sort of thing and the fat joke one are about as much as I should hope for. 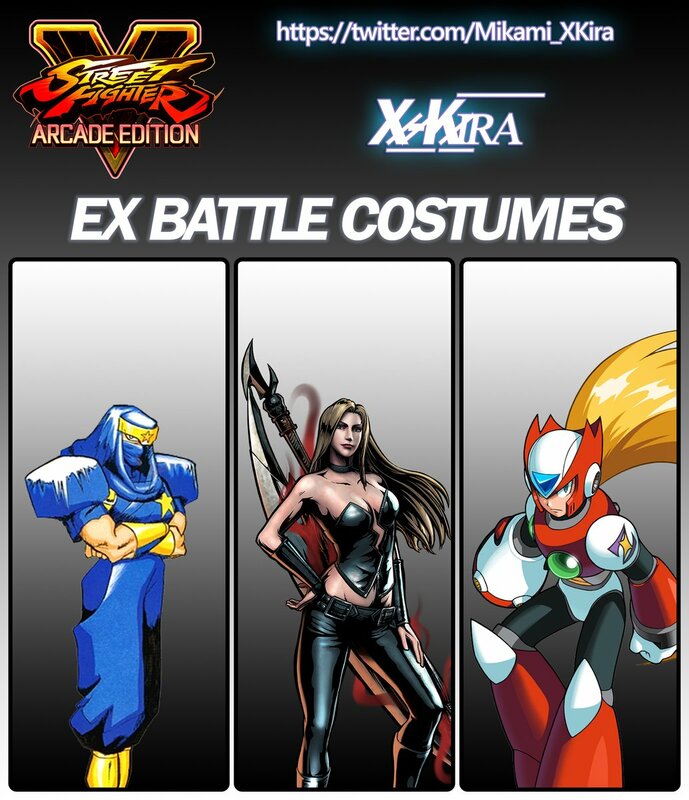 If Ryu is Mega Man and X, Zero and ProtoMan will have to be Ken. 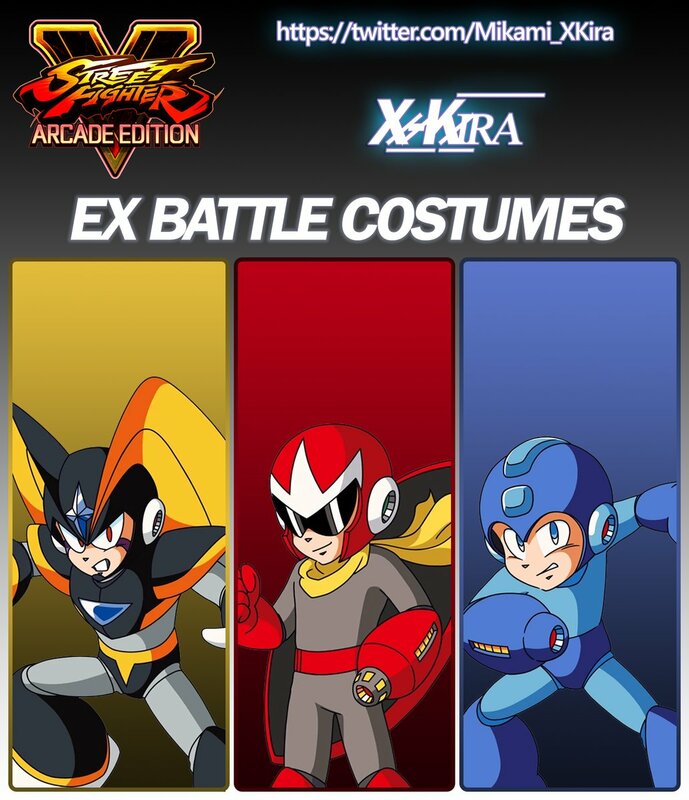 on a side note, 8 costume out of 18 being from Mega Man is a plus to this game, for me. CAPCOM, take the engine, improvise it and make a Mega Man fighting game out of if with all the protags + helpers and the arch-enemies from Mega Man to Legends and to Starforce (also XOver and BBA as bonus characters). And in tag team mode, have the bosses or giant enemies to fight over with. 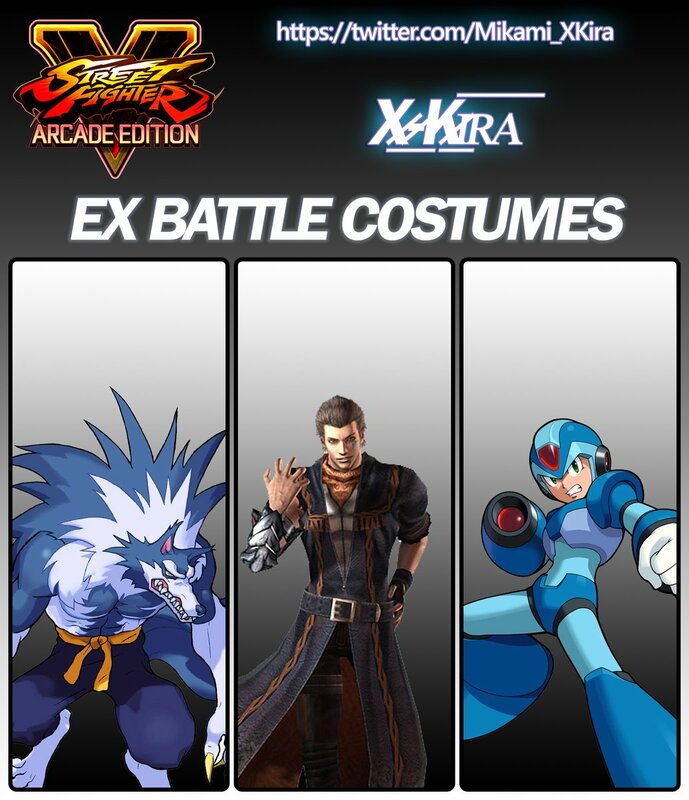 And named it to something like Mega Man CrossOver Battle (MM XOver Battle). THE END. I have been dreaming of seing a Mega Man fighting game for a while now. That might be a nice thing, and a interesting way to bring some attention to the brand. As fighting game are accessible. On the other hand, people might not be too akin to get a fighting game if it is'nt based on something they know (like fighting games adapting a anime) or a name they're familiar with (like street fighter). I'd rather my amiibo unlock a Megaman costume in Super Mario Odyssey. Now that you say it...how neat that would be. and considering that Capcom is okay to have Mega Man show up anywhere, it's not even 100% impossible.